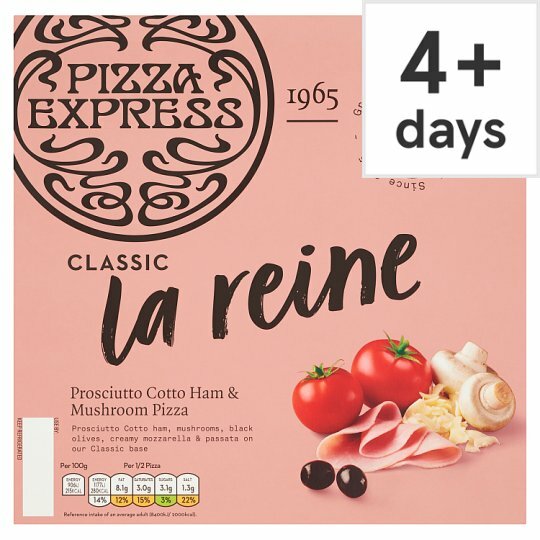 They are great with pizza and salad to create a perfect PizzaExpress night in. Keep refrigerated. If freezing, freeze on day of purchase and consume within 1 month., Once thawed do not re-freeze., For use by date see front of pack. Cooking Instructions (General): For best results cook from chilled. Oven cook (From Frozen): 1. The first step to pizza heaven is a piping hot oven. 2. Get rid of all the packaging and even out the toppings. If you're feeling creative add some of your own. Oven cook (From Chilled): 1. The first step to pizza heaven is a piping hot oven. If your feedback is about a particular product, please let us know the Use By date and code from the front of the pack where you bought it.